I have been collecting a few videos of Gov. Sarah Palin in action. A few of them show a great deal of insight into how she may perform as McCain’s VP. Let me know what you think and leave a few comments. Take a look at my VodPod to the left and Enjoy! I waited for the media leak (of which there was none to speak of) all night. Well, actually I only waited until about 2:00am. Alas, around 9:00am I catch wind of the first reports of the McCain VP pick and my first reaction is…Who? Palin, Palin the name is vaguely familiar but I can’t place it. Alaska, oh yeah, now I remember. This is that governor that is pushing to drill in ANWR. Now I’m thinking, “so far, so good”. I had to let it sink in for a while. 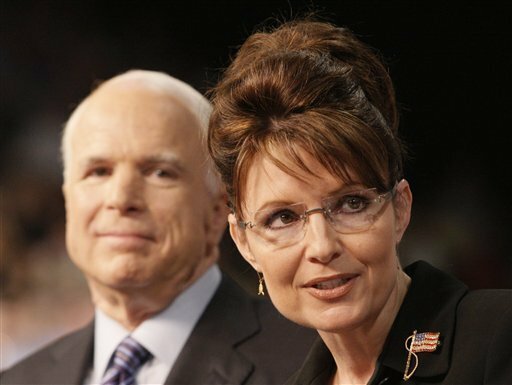 Why would McCain pick Palin. Virtually unknown outside of her home state until recently, and not a very experienced politician either, I struggled to put it together. Obama likes to say John McCain doesn’t “get it”. Well, on the contrary, I think he not only gets it, but gets it right.Governor Palin is the perfect choice! Just as Obama chose an experienced Washington insider partly to augment his own lack of experience, McCain is off-setting his significant experience by choosing a running mate unfamiliar with the inner dealings of Washington. Obama missed the boat by not picking Hillary Clinton as his Vice President. She garnered a lot of votes and it would have most certainly built a massive machine to be confronted in November. In addition, the first Black/Female ticket would have diffused any attempt by McCain to do just what he did, choosing a woman as a running mate to siphon off disgruntled Hillary supporters. Perhaps, just perhaps, they will find Sarah Palin a more suitable choice for leadership not only because of her gender, but due to her common sense policies for the American family.A conservative with the bravery to confront unethical and wasteful spending who is able to reach across the aisle to get things done, is also just the type of leader America needs in the White House. A McCain/Palin ticket seems to have just the right amount of moderate conservatism to win in November. Her age and family life also has a lot of appeal. She is at a stage in life where many Americans find themselves today and will be able to relate. As a father and husband close to 40, I can tell you that her story closely resembles mine and that of many voters, Democrats, Independents, and Republican alike. She understands what it means to raise a family with high moral standards and a good education in today’s society. She knows what it means, with our shrinking paychecks and inflated grocery bills, to have to put $50 in the tank each week, pay for health care, and what the rising cost of goods do to the middle class family. 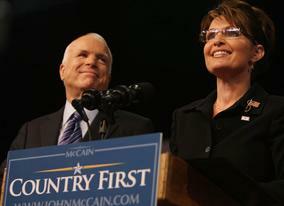 McCain and Palin will put America first. They will work to reduce spending and taxes, reduce our dependence of foreign oil, and ensure government reform, so that American families can reduce the burden they are experiencing from a struggling economy and housing market. As a lifelong NRA member Palin will fight to protect our second amendment rights so we can protect our persons, property, and family. She will work to reform government and upset the status quo in Washinton, placing country first, and cronism out the door. The McCain/Pladin ticket has the ability to transform american trust in government and the Republican party. I would like to learn more about this “Wow” pick from Alaska. But, so far I like what I’ve learned. Yep, I think John McCain “get’s it”. And I think a McCain/Palin ticket is exactly how he shows it.